Alan Titchmarsh officially opened the Chelsea Pensioners’ new allotments at the Royal Hospital Chelsea today (Thursday 24th July), which have been built thanks to a generous donation from The Steel Charitable Trust. 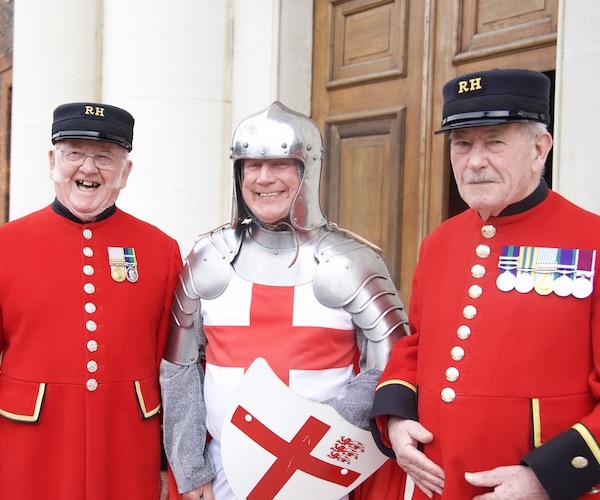 Chelsea Pensioner Ted Roberts has starred in a short film as part of the 1000 Londoners project, which aims to be the biggest documentary series ever made about a city. A group of Chelsea Pensioner artists are to exhibit their London-themed work at an exhibition at the Royal Hospital Chelsea’s Margaret Thatcher Infirmary (MTI) next week. 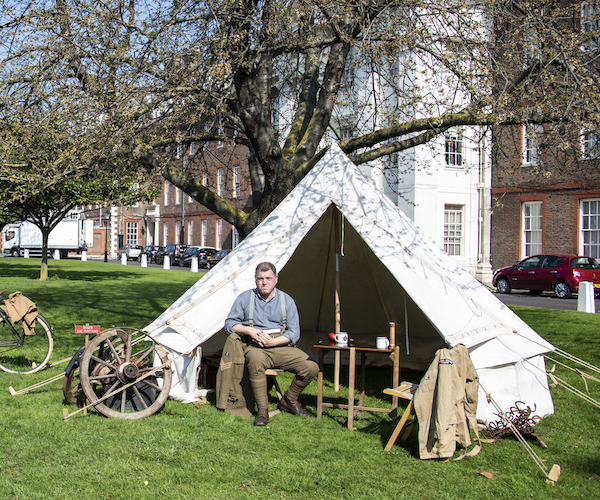 A ceremonial Service of Remembrance for the hundreds of thousands of men and women who volunteered to serve in the First World War has been held at the Royal Hospital Chelsea in the gracious presence of Her Majesty The Queen today (Saturday 28th June 2014). Tomorrow Chelsea Pensioners Ray Pearson and Charmaine Coleman plan to skydive from 13,000 feet to raise funds for the Royal Hospital Chelsea and ABF, The Soldier’s Charity. 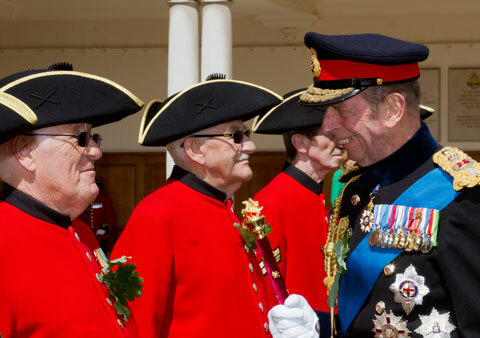 HRH The Duke of Kent KG, who is also the Grand Master of the Freemasons’ United Grand Lodge of England (UGLE), visited the Royal Hospital Chelsea to open a newly refurbished berth funded by a £50,000 donation from The Freemasons’ Grand Charity made in 2009. As all eyes turn towards Brazil for the forthcoming World Cup, the Qatar Army is sending its bands to London to prepare for the 2022 World Cup in Doha. 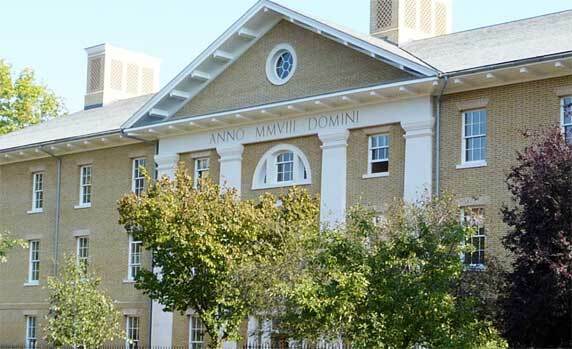 Ruckus Wireless Inc. and Computer Products Ltd. have successfully completed a high capacity, high speed, Ruckus Smart Wi-Fi network for the Royal Hospital Chelsea.